See Orangutans in the Orangutan Rehabilitation Centre, located in Bohorok / Bukit Lawang in the Gunung Leuser National Park on Sumatra. Since 1973, the Orangutan Rehabilitation Centre is located in Bohorok / Bukit Lawang in the Gunung Leuser National Park on Sumatra. This is the best place worldwide to see Orangutans in their natural habitat of the jungle of Sumatra. 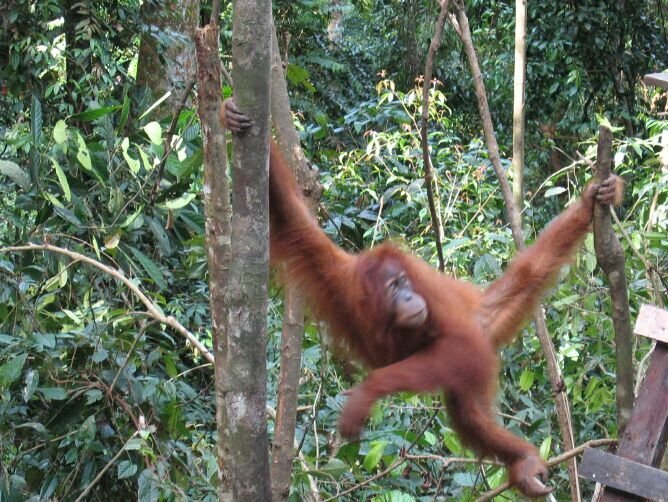 Former imprisoned Orangutans are released back into their natural environment. 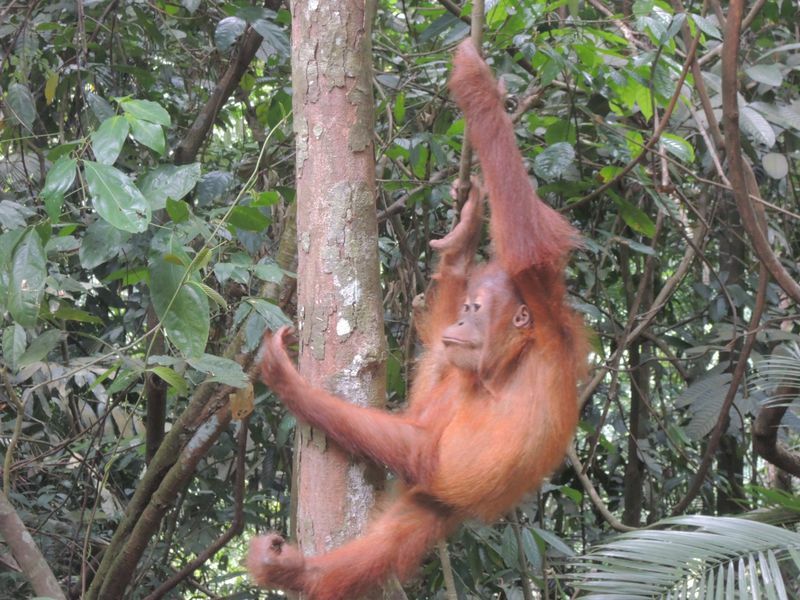 Since the feeding place has been abolished the Orangutans can be seen during a hike with a guide through the jungle. The shortest route is approximately 2.5 hours. Only in two places in the world Orangutans can be seen in the wild. 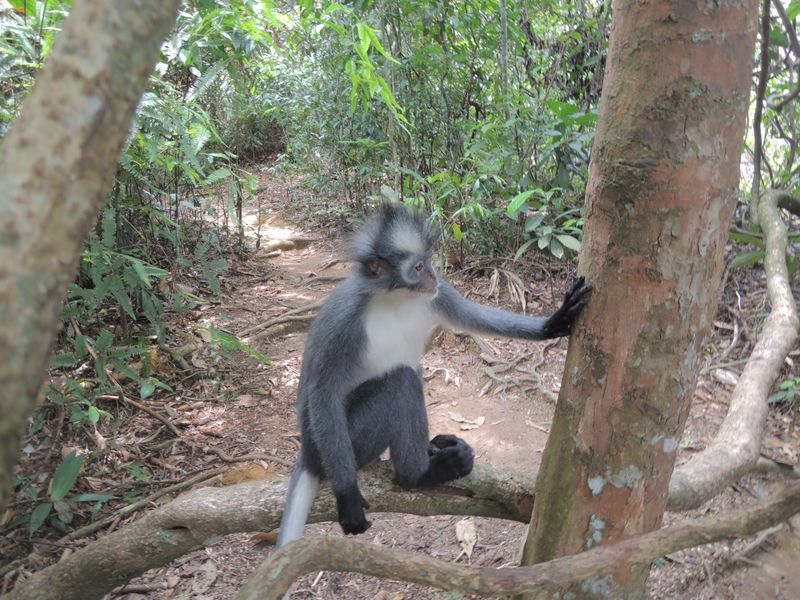 These are in Bohorok / Bukit Lawang in the Gunung Leuser National Park on Sumatra and in the Malaysian part of Borneo. 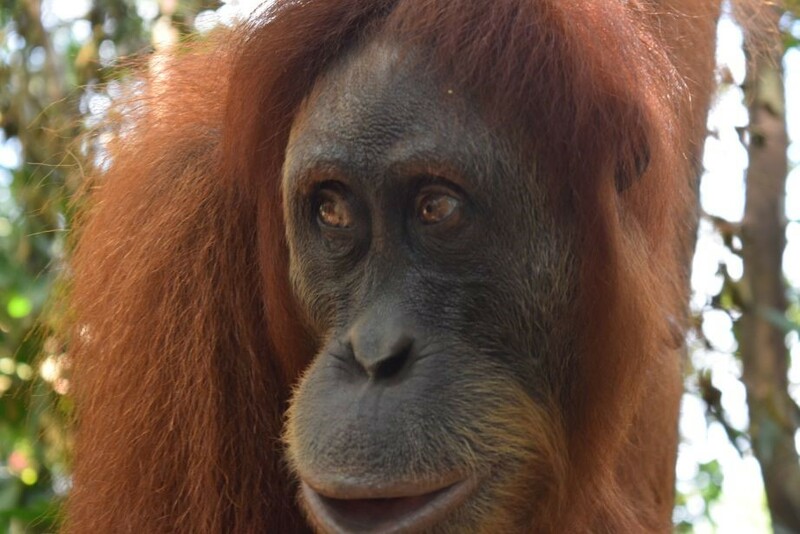 That’s why a visit to the Orangutan Rehabilitation Centre on Sumatra is a unique experience! From all over the world, people come to Bohorok to see these beautiful and friendly animals. Besides Orangutans, you can also see the Siamang (long arm monkeys), Thomas Leave monkeys, the Long-tailed Macaque, Gibbons, small deer such as the Mouse-deer, different types of reptiles and a variety of birds. Do you want to see the Orangutans in the wild? Contact Tri Jaya Tour & Travel. We are happy to organize this unique excursion for you. 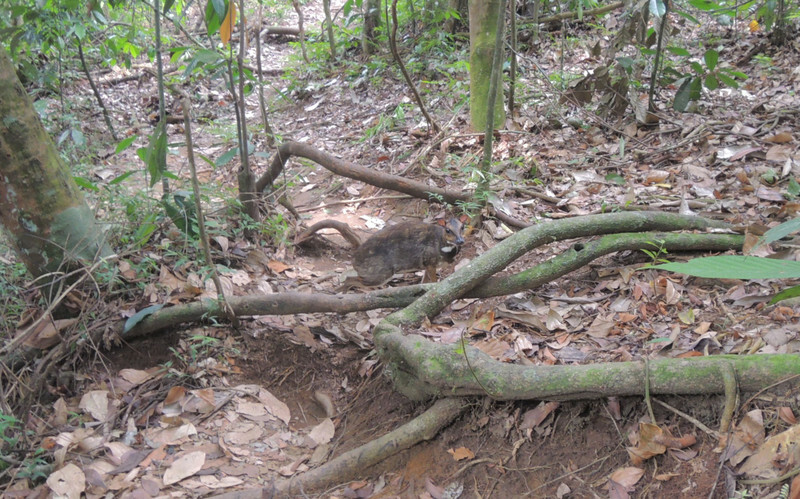 Chevrotains, also known as Mouse-deer. 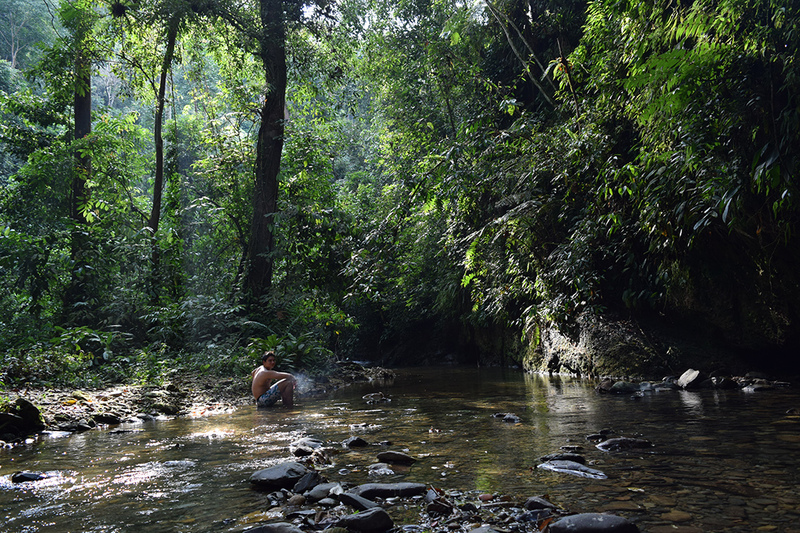 In this impressive jungle area jungle tracks can be made for half a day or full day with a guide. Also trekkings of several days is possible whereby people stay overnight in the jungle in a tent. 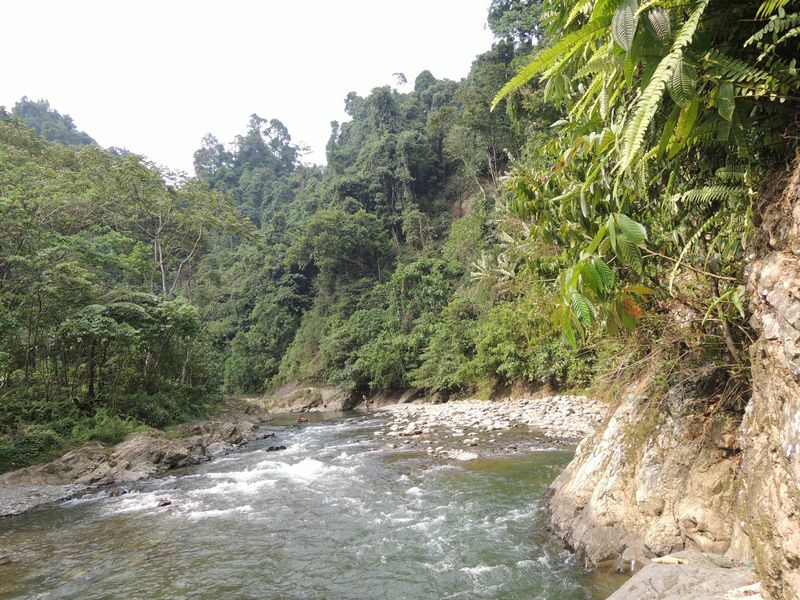 In November 2005, a flooding of the Bohorok river partly washed away the village of Bukit Lawang. Since this event, the river has been canalized and many new accommodations have been built. To combine with an unforgettable visit to the Orangutan Rehabilitation Centre, you can book a jungle trip with a local guide for a few hours, a whole day or several days. Ask us for more information and prices of this unique experience.